This one was a tough one. Been a while since I had second thoughts on selling a car. 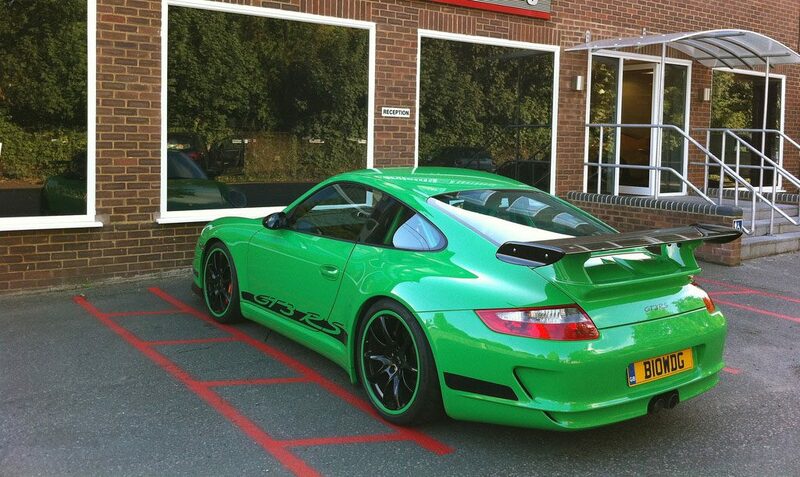 Looking around on forums, it’s quite clear that this green car had touched more than a few chords. It went in today for an inspection at JZM and it passed with flying colours which perversely, made me more upset. Knowing the car was immaculate and, I quote, “The cleanest RS I’ve ever seen”, made me want to just keep it forever. I had cherished and worshipped the car with much wax and tears. In the 5000 miles I did over the past 6 months, it made me smile at every mile. It was also the most dramatic 911 I’ve owned as it garnered enough attention from the public to make it a minor celebrity. I will be back in a 911 GT3 before long, they are too good to be away from for too long. So, no more spine tingling at 7500 RPM. No more expertly crafted, precision engineered cornering characteristics. No more drifting on bends at 45 degree angles, carefully balanced by throttle and steering input so delicate and flexible that each 500rpm on the rev range provides another +/- degree of attack. No more raucous sport button induced reverb off low, brick walls as you pass them. And finally, no more staring at perhaps the finest green ever placed on a car after applying a thick layer of expensive wax. Right, enough tears, what’s next?